Coming on the tails of our recently announced expansion to Seoul, South Korea with a new office and the addition of a local blockchain and innovative technology specialist, John Oh, we are continuing to grow our network and establish our presence around the world. This time, we are very excited to introduce our newest advisor in China, Zhang Yihang. Mr. Yihang is recognized as an authority in the field of computer sciences and is currently a Director at the Chinese Academy of Science – in the Internet of Things Information Technology and Application Laboratory of the Computer Network Information Center in Guangzhou, China. He is in charge of the Chinese “Internet of Things Names Service Platform” project, a leading development in the IoT industry. His professional accolades include winning the “Beijing Innovation Talents Award” in 2010, winning second prize in the “Innovation of Chinese Academy of Sciences” in 2011, winning second prize in the “Technology Transfer Organization Award of the Chinese Academy of Sciences” in 2014, and he was awarded the honorary title of “Urgent Talents in Key Development Areas of Guangzhou Nansha New District (Free Trade Zone)” in 2015. Mr. Yihang and Matej Michalko first met while judging the Blockchain Innovative Application Competition in December of 2017. Mr. Yihang was immediately intrigued by the myriad of possibilities presented by blockchain technology. Through his expertise in strategic planning, enterprise management, human resources, and new information and communication fields, he has become a highly recognized leader in the IoT space. 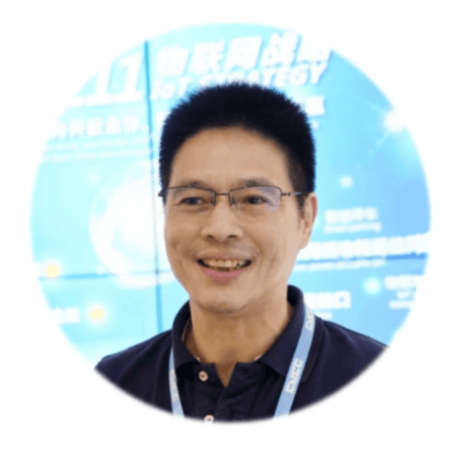 Adding Mr. Yihang to our team of industry leading, highly qualified advisors is another great accomplishment for DECENT, and we are very much looking forward to helping IoT connect with blockchain. Want to get all the latest news from DECENT? Join our live discussions on Telegram.